I’m perplexed as to why I haven’t thought to write about this before, but like they say… there’s no better time than the present, right? I work with A LOT of people that are 1) struggling with spam on their PC’s, and 2) have what they think is effectively anti-virus software on their computers, but in reality, they have software that contributes to their PC’s overall inefficiencies and lack of protection. I already hear the sabers rattling, but let me tell you 2 names that are notorious for bogging down PC’s, consuming valuable RAM, and ultimately not protecting a PC the way you, the average PC user, needs – and those 2 names are Norton and McAfee. From my experience, both Norton and McAfee anti virus programs consume exponential amounts of valuable PC resources, making people’s already slow computers even slower, do not fully protect a PC from the ever evolving viruses of our day, and most importantly, are commercially driven meaning that when you install Norton or McAfee you also get a lot of spam from vendors. Again, this is my experience, and if you’re a Norton or McAfee user and you disagree, please let me know! My personal anti virus program of choice is the one I use, and it’s the one I install on all of my client’s PC’s. It’s call AVG, and even better – it has a free version called “FREE AVG“, because, well… the program is 100% free! That’s a nice feature, and it’s an advantage over Norton and McAfee that I probably should’ve mentioned first. So with the FREE AVG anti virus program, you get great protection for your PC without all the commercialized spam. Plus, AVG has an automated update system. So once you set it up, it will automatically scan your PC, update it’s database of viruses, and fix any problems that it sees with your PC – all automatically, and mostly without you even realizing what it’s doing. 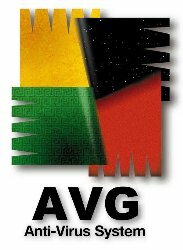 So if you’re looking for a great (FREE) anti virus program, then I highly recommend the FREE AVG program. Like I said, it’s the one I use and it’s the one I install on all of my client’s PC’s. You can download the FREE AVG anti virus program here. And please, let me know if you disagree (or even agree) with my assessment about Norton and McAfee. Also, if you’re having trouble installing Free AVG, post your questions below and I’ll help you out!